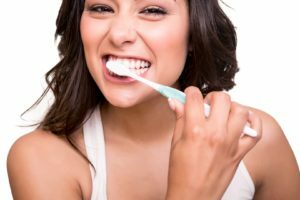 Many people believe that brushing your teeth is the only thing needed to do a proper clean of your teeth, but actually, this is never enough. You need to know the benefits of using mouthwash, so you can have a complete oral care. Tooth brushing your teeth 3 times a day, or at least two times, one in the morning, the second before sleeping. Using floss every day to reach those difficult parts between your teeth. Applying mouthwash 1 time a day, if you have kids buy them a mouthwash according to their age. After washing your teeth, you need to apply mouthwash. This products helps you to do a total clean, it eliminates all the bacteria, by this way it will reduce the probabilities to have oral diseases. Halitosis exists due to the lack of use of the mouthwash, because many bacteria live inside the mouth, some people can actually suffer from bad breath if they have an stomach infections, this means that all the acids comes out from the mouth as bad breath. But must cases are consequences of not using mouthwash. This is an important use of the mouthwash, because it prevents the canker sores, halitosis, and tonsil stones development. Actually the mouth is full of bacteria, it can be the most dirty part in the human body if we do not take care of it. This bacteria comes from the food, and also from our hands. If you want to have strong teeth you need to use mouthwash. This product prevents decalcification of teeth, for this reason if you have braces, dentists usually recommend to use an especial brush -that replace regular floss- and mouthwash . This is one of the most outstanding benefits of this product. The mouthwash helps us to reduce the probabilities of developing cavities, gingivitis, tonsil stones, dental calculus or tartar, and periodontal diseases. As you can see, the mouthwashes have many benefits. This product cannot be replaced, it is the complement of the toothbrush and floss. The best way to avoid many oral diseases is to schedule an appointment every 6 months with a dentist, and follow the instructions given to you. Which are the benefits of dental veneers? Why is Mexico so popular in dental tourism?